This is a photo of a Haunebu aircraft taken over Korea in 1959. Haunebu was a known Nazi program allegedly in development prior to WWII. 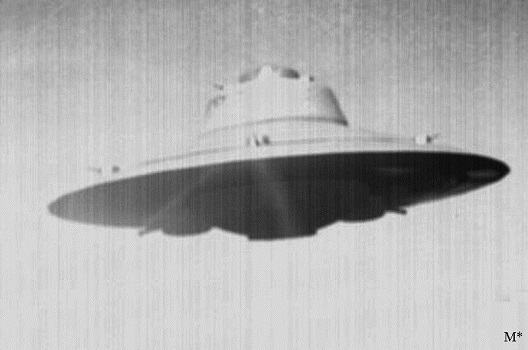 The model above is most likely a Haunebu III, according to reports. While the program and vehicles are real, many of the photographs and lore surrounding the program is counter-intelligence, so knowing for certain what is factual and what is cleverly manufactured propaganda is difficult -- especially for the untrained layman. Haunebu and VRIL technology are often associated with the "Vril Society" and "Nordic Aliens"- - neither of which exist, nor ever did; this is counter-intelligence. The Haunebu craft employed something known as VRIL technology.